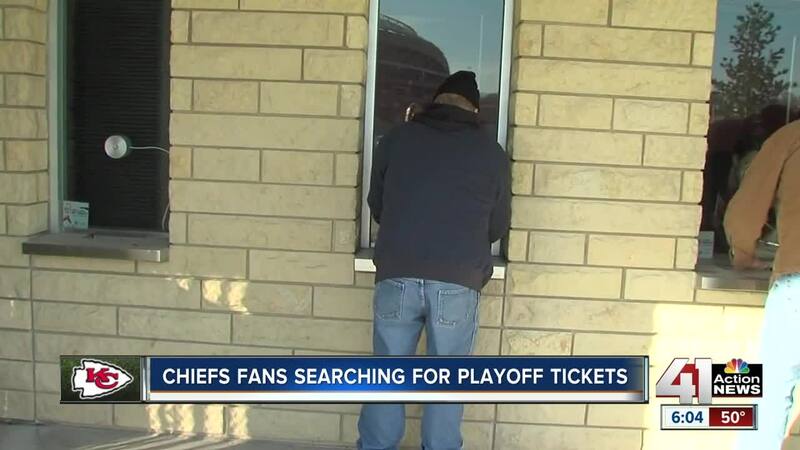 Don't fall victim to scammers when trying to find tickets to a Chiefs playoff game. KANSAS CITY, Mo. — It's go time for the Chiefs this week. Fans like Alec Frank and Macauley Greif are out looking for tickets. Both are from Kansas City, but are in school out of state. They are hoping to see their favorite team play before they leave. "We have never seen a home playoff win and we are really hoping to see it for the first time," said Greif. They are trying to find any ticket. "It's become a concern as a college student to find a cheap ticket. You can go to stub hub but sometimes they are over priced but at least you know the ticket exists," said Frank. The students thought about possibly going to third parties. "In contrast you can find them on Craig's List, you can find a ticket but you don't know if it's real," Frank said. Tickets For Less said the fakes are becoming less common since going electronic. They are seeing a trend of people selling screenshots of tickets. "It's not a very secure way and it's not safe," said Jason Durbin with Tickets For Less. The Chiefs said fans should avoid those kinds of tickets along with pre-printed tickets. The biggest tip both the team and Tickets For Less was to buy from sites associated with the organization, not off sites like Craig's List. Durbin said just pay a little extra to get the security of a ticket. "Make sure you are buying it from a secure source rather than getting a really good deal off Craig's List or something, where you can't verify if the ticket is legit," said Durbin.